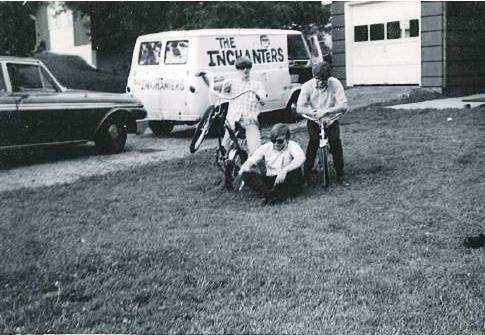 From the very beginning of the band that would become the Nickel Revolution, having a van was important to us. While a trailer behind mom and dad’s car would suffice for other groups, we insisted on having our own dedicated vehicle. 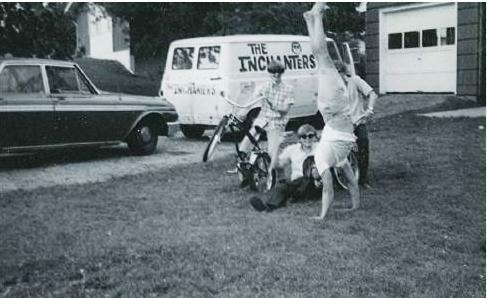 We wanted to have a truck like the Underbeats and Gregory Dee and The Avanties. 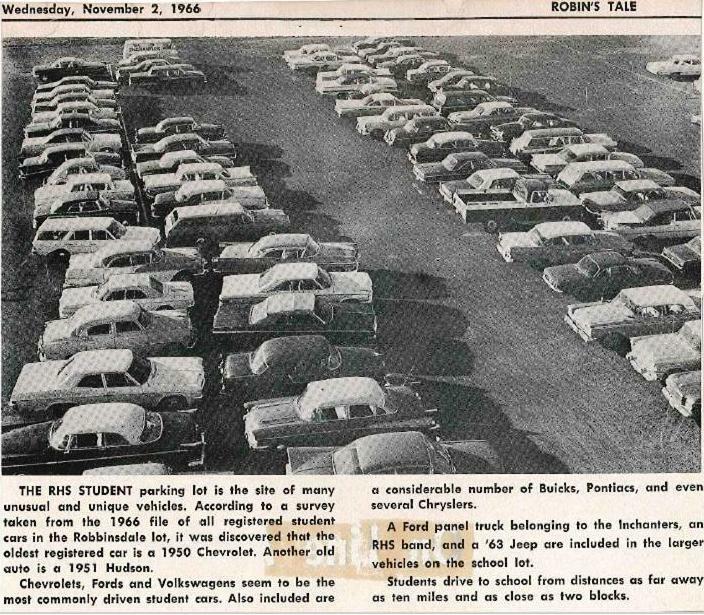 In 1964, our parents helped us accomplish that goal too, even though Louie was the only one old enough to have a driver’s license. Keith Follese’s folks owned an electrical contracting firm (later becoming an Air Conditioning – Heating contractor) and they had an old panel van that they allowed us to “earn.” We have doctored a photo here to get as close as possible to what the panel truck looked like—a 40s Chevrolet Panel truck. No one has found any pictures of our first truck or our last van. We earned that first panel truck by cleaning junk out of apartments in a building owned by Keith Follese’s mom. Pretty easy work considering it was only one Saturday and we had a truck. We used magic marker to “paint” Wailing Phantoms on the side and added the decals of a woodpecker with big eyes and a cigar to be cool. Louie also bought “baby moon” wheel covers—it was cool. At least for a short period of time. 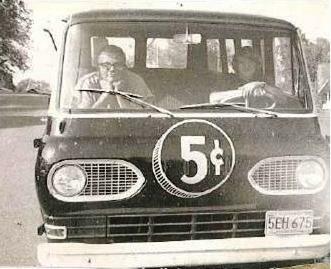 In 1965 we were earning enough money to actually buy a used panel van (again with our parents fronting the money). 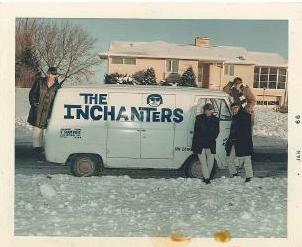 It was a light blue Ford van and it’s pictured here with the Inchanters logo and painting courtesy of B Sharp Music. 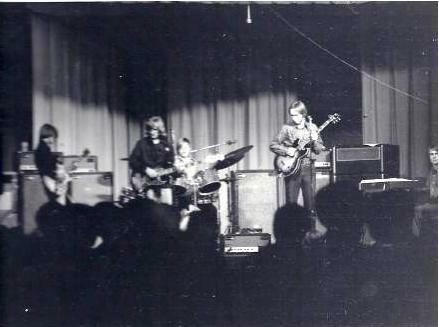 The van not only took us to gigs, we went to high school in that van and it ended up in a photo in the school newspaper. Also included here. 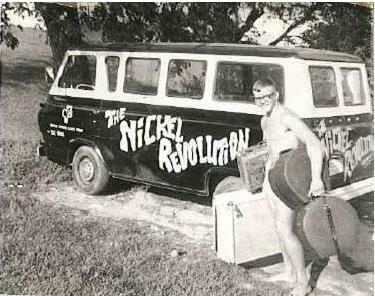 The light blue van would go through changes when we became the Nickel Revolution. 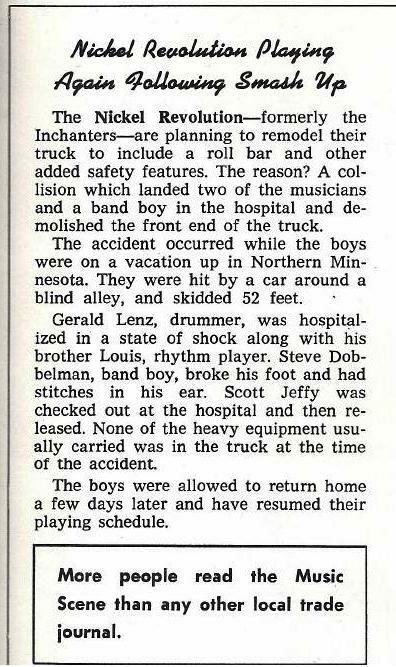 In the end, we converted it to scrap metal as it was totaled in an accident sending a few band members into the hospital. 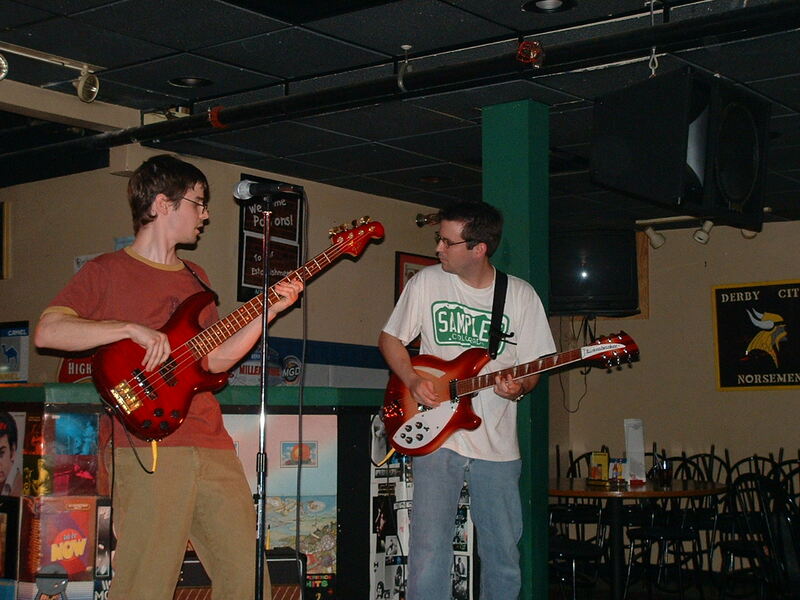 We were on vacation and not gigging at the time of the accident. 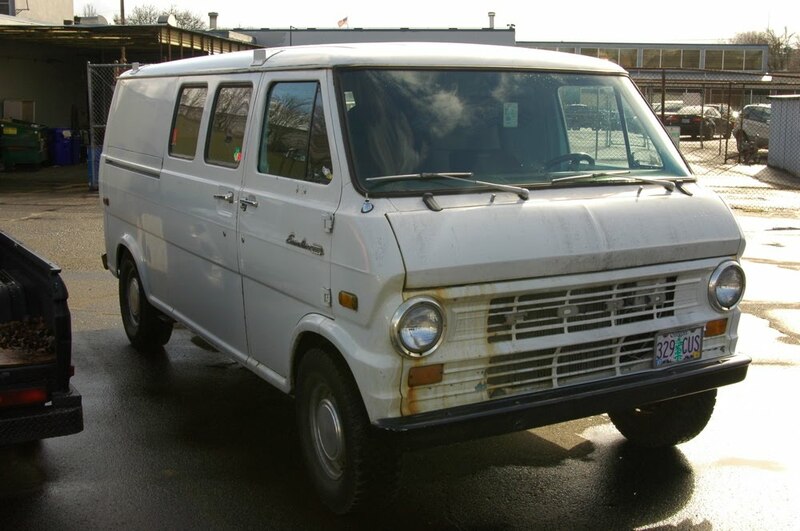 Next up was a black and white Ford Econoline window van which is pictured here. Interestingly enough, this van was also totaled on vacation. Louie, Honeybear, Scott and one of our roadies, Dave Arneson took the van to the Arneson’s lake cabin near Maple Lake, Minnesota. Honeybear was out “joy-riding” (driving) the van when, he claims, a bee tried to sting him and he rolled the van on a country road. Some witnesses claim it may have been vapors from a burning weed of some sort. 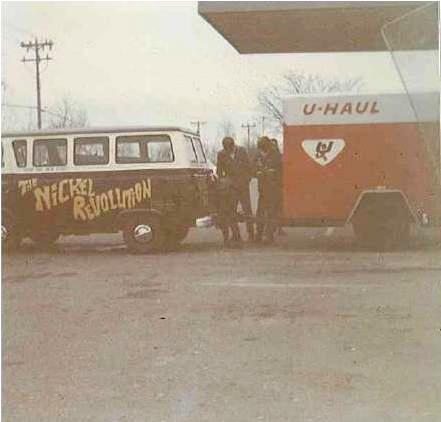 We do not have a photo of our final van that we purchased in 1968 when we really started racking up miles on cross country trips. It was a green Ford van and we chose not to have our name painted on the side. The reason being is that band vans became targets for thieves. 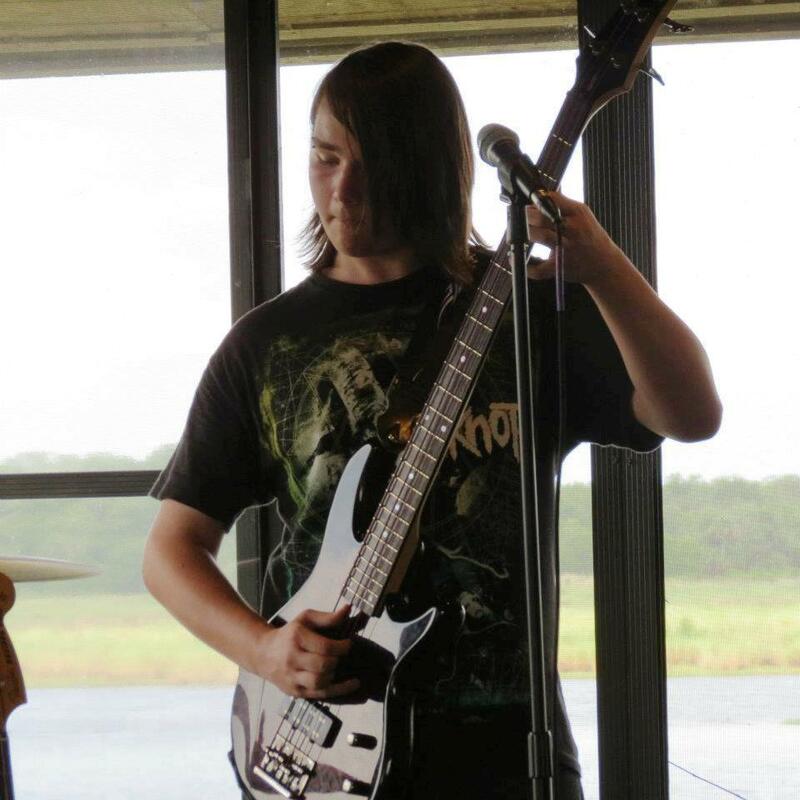 A lot of fellow bands lost equipment and it happened to us as well. 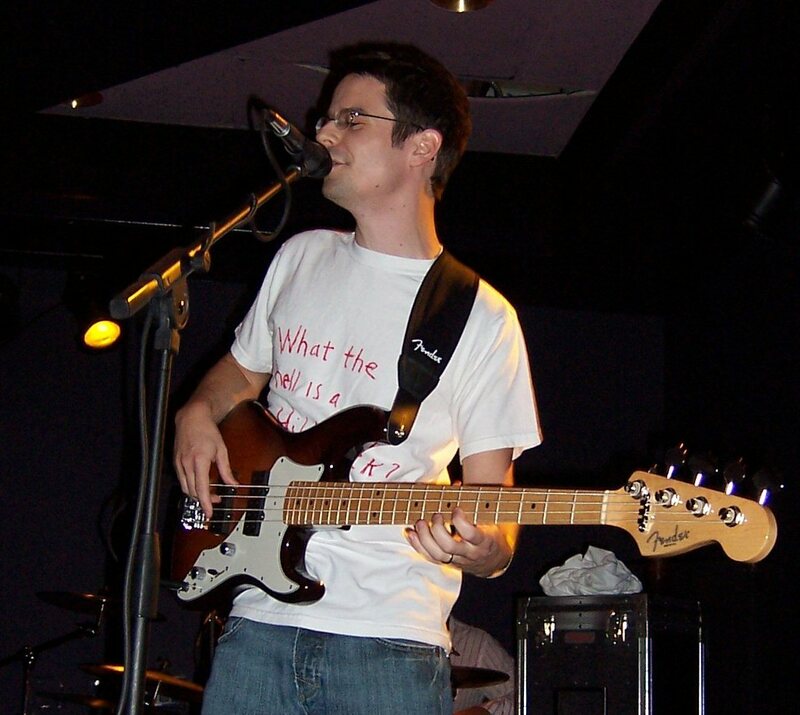 However, only our backup gear was stolen out of the van one night when we played at New City Opera House in Minneapolis. 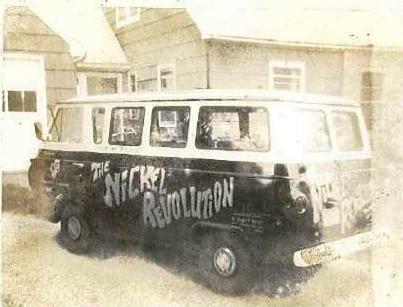 There are a lot of interesting stories surrounding the Nickel Revolution’s vans. 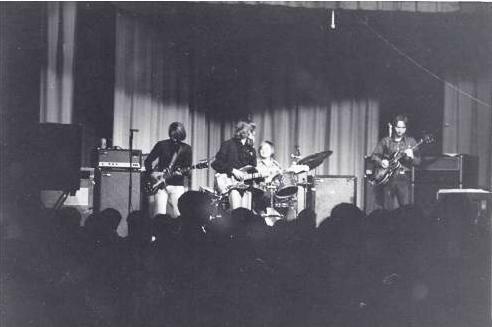 One that could have been a tragedy happened late night or early morning after a gig in Wisconsin. 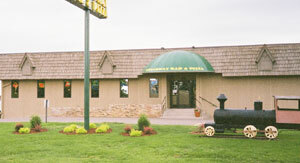 We were traveling south near Black River Falls, Wisconsin and had pulled in to eat at a truck stop. 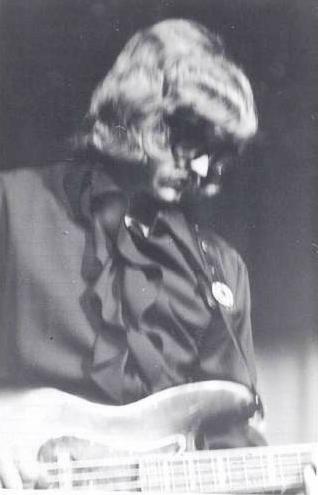 Because we were “long hairs,” we were used to being hassled by some of the truckers and we had our own smartass retorts. 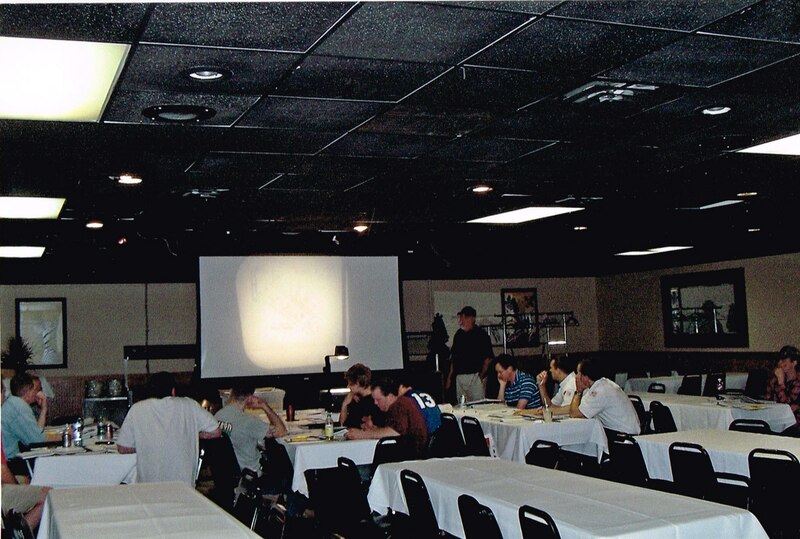 One of our favorites was, “didn’t your mother ever teach you not to talk to strangers?” We probably used that one along with some others and got a truck driver really mad. We were unaware that he was waiting for us to leave. When we did, he pulled out his rig and followed us. We got on the Interstate and he followed us as close as he could, trying to scare us off the road. We were already travelling 65 to 70 miles per hour with the van loaded with equipment. Louie Lenz was behind the wheel and put the peddle to the metal, but this crazy driver kept it up and he was now trying now, to bump us off the road. Much to our delight, he instead took his semi truck into the ditch in a heavily forested area. Looking back we saw his headlights pointing skyward. We didn’t stop but traveled on our way to our destination. 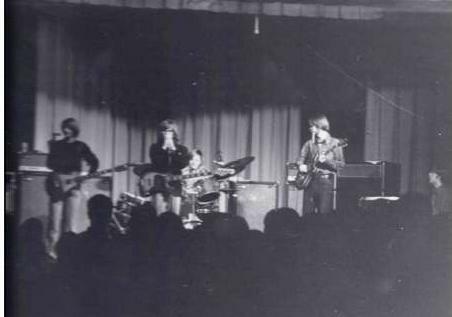 A van story with a lighter twist involves Louie, Scott and Jerry, along with their dates being “taken in” to Police headquarters in New Hope, Minnesota (1965). The police called our parents who—get this—had to come down and pick us up because we were parked on a side street that didn’t allow parking and we were making out. That is all…making out…kissing…BUSTED. Our folks were very eager to talk to us. As soon as the dust settled, we went back to kissing girls in the van. 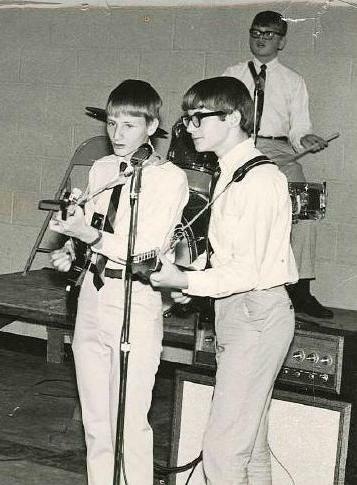 And that’s how these rockers rolled.